5 More Perfect Passive Income Ideas for Physicians | Passive Income M.D. If you’ve been keeping up with this blog, then you (hopefully) know how hugely beneficial it is to have multiple streams of income. And of course, the more passive they are, the better. In keeping with that theme, I’ve assembled a few ideas you may not have considered previously. 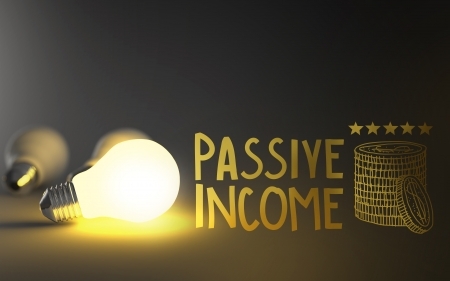 If you haven’t quite found the right passive income for you, or are perhaps looking to add another source of income, then one of the following ideas may be just what you’re looking for. Yes, even you can start a blog. Let me tell you, when I started Passive Income M.D., I saw it simply as a creative outlet. But it didn’t take long at all for me to see its value as a consistent source of income. The idea of starting a blog may seem easy, but anyone who tells you that it’s completely passive is not being truthful. It can take a huge amount of effort to think of, write, and ultimately publish posts on a weekly basis. However, if it’s something you’re passionate about and you’re able to make money from it, why not go for it? If this idea appeals to you, please see my post on How to Create a Blog to really get a jump-start on the process. Network marketing (also known as “direct sales” or “multilevel marketing”) has become very widespread over the recent years. Brick and mortar stores are dropping like flies and e-commerce & home-based businesses is all the rage. Businesses where you sell products that are shipped on subscription, seem to have the biggest potential for truly passive income. The key to success in businesses like these is building an effective team. That’s because you’ll be earning a percentage of the income from your entire team–not just yourself. While there can be a lot of misconceptions about the business (and some that are not worth getting yourself into), I’ve seen people do extremely well and enjoy themselves immensely along the way. Personally, I know several physicians who have been quite successful in this industry and have been able to cut down on their clinical practice to achieve a better life/work balance. They say that you only use your car for a total of 4% of the time you own it. The other 96% of the time, it sits in a garage or parked by a meter. Physicians may even it for less. Well, with the shared economy that’s becoming all the rage, there is now a platform that allows you to rent out your car when you’re not using it. Think of Airbnb for your car. If you’re not using it, why not get paid for it? If that sound like something you’d be interested in, check out www.turo.com. There are plenty of physicians who have put pen to paper (or fingers to keyboard more likely) and found an audience who would pay to read what they’ve produced. Physicians have found success writing books on a multitude of subjects including medicine, comedy, motivation, dinosaurs (Michael Crichton), and even finance. The difficulty for most physicians is finding the time to actually sit and write a couple hundred pages of content. Publishing used to be more difficult but with the ability to even self-publish and sell online, that barrier to entry has been lowered. Takes a lot of time upfront but the income afterwards is mostly residual. Udemy is a global marketplace for learning and teaching online. Through this platform, students are mastering new skills and achieving their goals by learning from an extensive library of over 45,000 courses taught by expert instructors. There are courses on just about anything you can imagine. There are even ones being taught on the subject of medicine. You could create your own course and once you’ve made it, sit back and wait for those paying students to enroll. And there you have it. Add these 5 ideas to my original list of 10 Perfect Passive Income Ideas for Physicians and you’ll get a fantastic jump-start on your own passive income portfolio. So, is it worth it? That’s a question only you can answer, but for me, building multiple streams of income is truly invaluable. Read here for my motivation. My suggestion to you is this: figure out whether having some streams of passive income would make an impact on your life. If money was coming in consistently with little additional effort, would it change the way you’re living now? If so, then consider picking a couple of these ideas, make a plan, and commit to doing it until you see something come to fruition. With a little effort, it won’t take long. Have you tried any of these? All of them? Let me know how it went and how it’s going in the comments. Next articleAre You Financially Future Proof? Which Network Marketing (Multi-Level Marketing) businesses have you seen physicians participate in? These types of schemes definitely have a bad reputation. I’ve seen physicians and other friends invest in a good number of these businesses. In fact, I’ve been asked to join these since I was in high school but I’ve always avoided them (hearing the same bad things as you probably have). So I started this one with my wife (a skincare company) only after I saw some great success from actual physician friends of mine. I did a good amount of research before jumping in, and I felt major FOMO (fear of missing out) because I felt it was legit and people I knew were doing well. I guess I’m a bit biased now, but I do feel some of the bad press is real bc of some bad eggs, however there are good companies to partner with in this space. I’ll write a post on the specifics for you! Has anyone had success with mobile apps as a means of ancillary income where one could see patients in their spare answering medical question and seeing “urgent care” visits over the phone. I’m doing #1 🙂 Only three months in, but it’s been a blast. The income part will (hopefully) come later, and it certainly is not passive, but it’s been rewarding nonetheless. Love the blog and sounds like you have a great background for helping physicians out in this arena. Added you to the blogroll. Keep up the great work! My physician created a course for plant-based eating for children (or just healthy eating in general for children) and a plant-based course for adults. She’s been able to reverse so many diseases simply through diet! It’s really inspiring. That’s a fantastic idea. Do you adhere to the diet yourself? Great ideas. While I’m certainly biased given how well real estate has worked for me, I still see real estate investing as the best way to create passive income. But as you point out, it isn’t the only way.